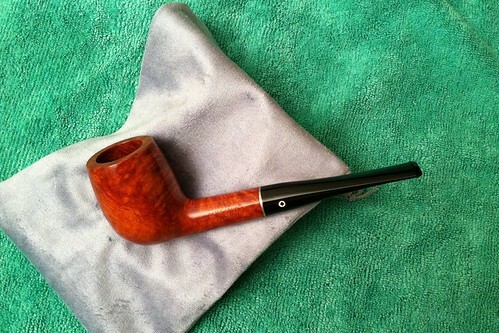 I already had Kaywoodie 07 billiard shape and a Custom Grain to boot, but I couldn't resist this estate offer that was unaccountably in unsmoked condition. I checked it down to the mortise and airway, and no evidence whatsoever of having been smoked. Unless the restorer was a magician. But the looks of it is what finally sold me. Love those billiard shapes. Very nice Woody, Ed. And unsmoked, too! Congrats on the find. You know that I meant "Kaywoodie", you dirty old man. Enjoy smoking this good looking pipe.